Invoicera: New version of iOS released! Invoicera: New version for iOS released! For successful running a business, identify the best invoice app that will contribute to the ease of running your business. Don’t go hunting for desktop as the mobile invoice app ensures you to have a rapidly growing, successful business with just a click. Invoicera new version of iPhone is now live. 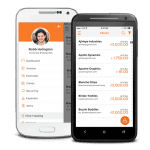 The invoice is the centerpiece of the app that simplifies the invoice creation process and handles estimates, client management, settings or any number of features. Invoicera design screens appear to be a good deal with its core aesthetics value. Invoicera keeps on updating its mobile app. The latest release includes enhancement across the invoice screens. This update does not cause little or any service interruption. What’s new is its whole design part. The performance optimization is proposed to reduce the memory usage. – Time Tracking Screen Improved. – Manage and track the status of paid, partially paid and unpaid payments. – New and Attractive subscription plan introduced. – Synced content on all your mobile and desktop devices. – More new payment gateways introduced. – Improved usability of many functionalities. 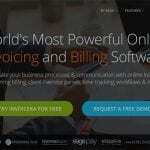 – Real Time generation of invoices, estimates, recurring etc. 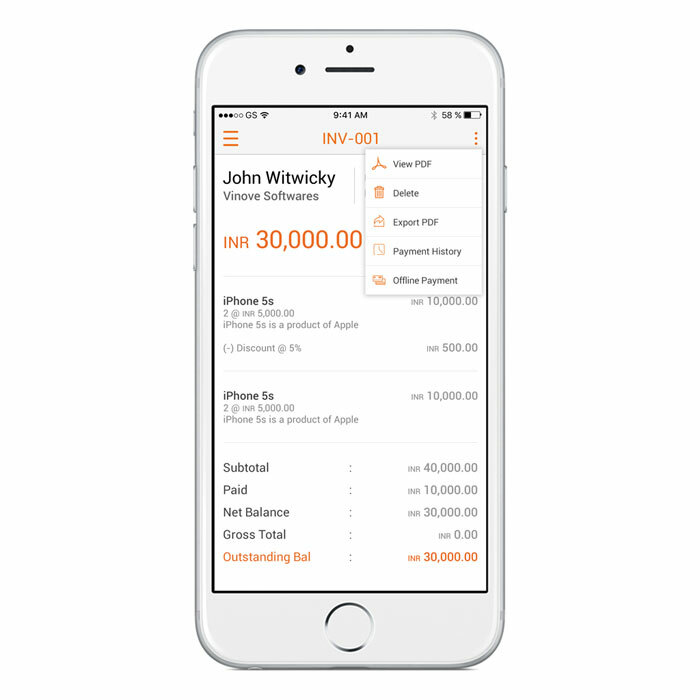 The mobile invoice app has been designed with flexible solution and ease of use even when you are away. Create and send estimates. Convert estimates into invoices and export invoices as PDF files. 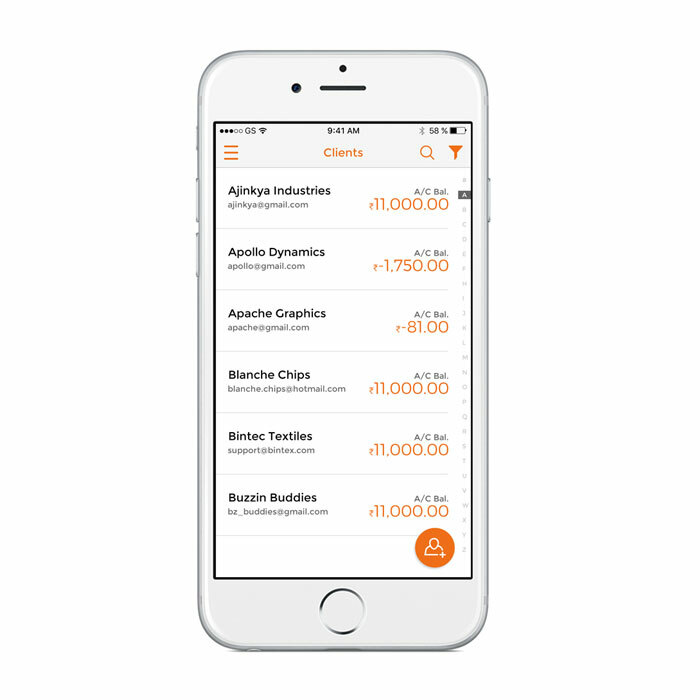 The invoice app keeps pace with seamless notifications, activity feeds and more. 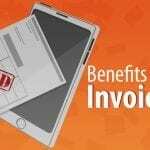 With Invoicera Mobile App you can easily edit, create and send invoices, bill clients, track invoices, pay vendors, monitor payments and more. 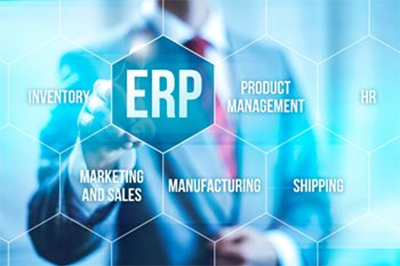 Now the business owners of all sizes operate their systems on the go that leaves the headache of logging into the system anymore. 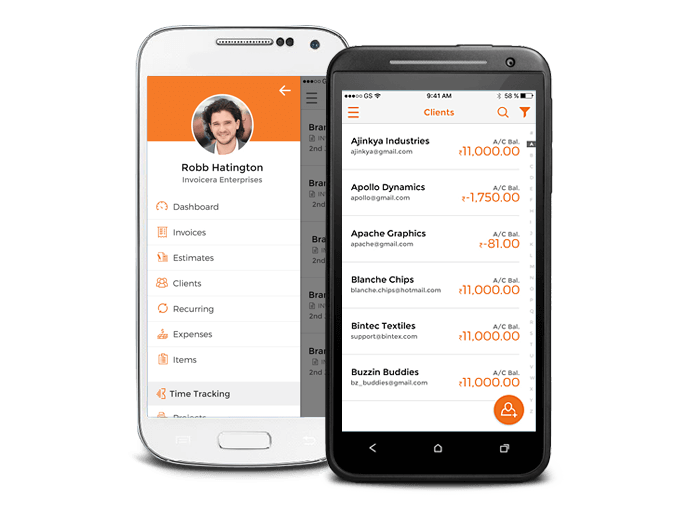 The mobile invoicing app empowers them to focus on other tasks like spending more time with customers. Ease of Managing clients, captured invoices and estimates are displayed on the single client portal. You can easily access all your client’s email addresses, phone numbers, and imagine a status report on the go. 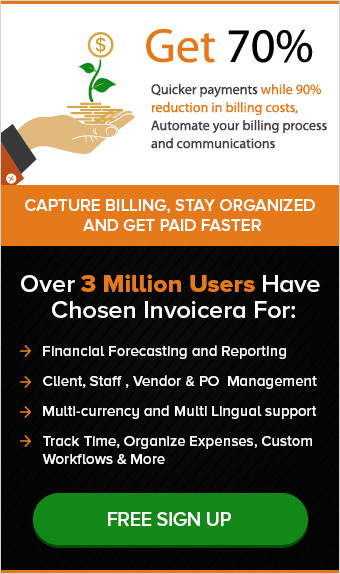 Also just like Invoicera account, with Invoicera Mobile app invoice clients in the respective currency and language too. 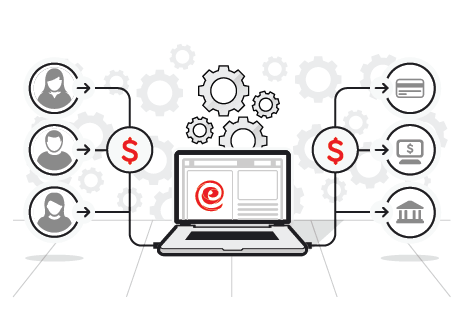 You can ensure workflow efficiency and client service from the portal. 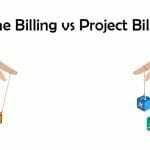 Use time tracker billing app to monitor the time spent on projects. Fill in daily time-sheets. 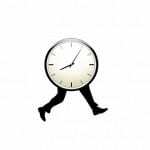 The timer can easily administer your time records and determine the exact billing hours. The time tracking invoice app improves the business ROI with automated time entries. Manage all aspects of subscription business; control the frequency, type of billing, usage or product expiry. 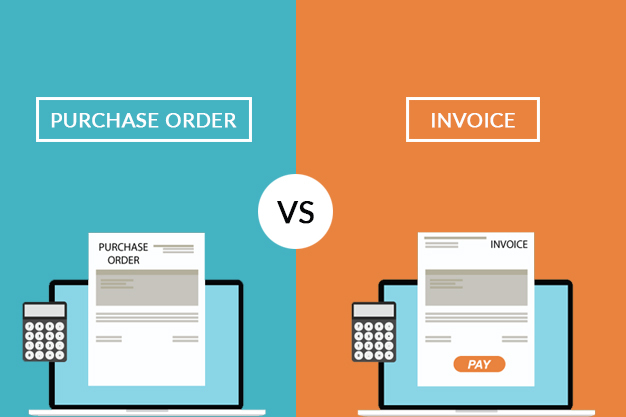 The invoice sends automatically as per the scheduled date and time enhances customer’s experience. 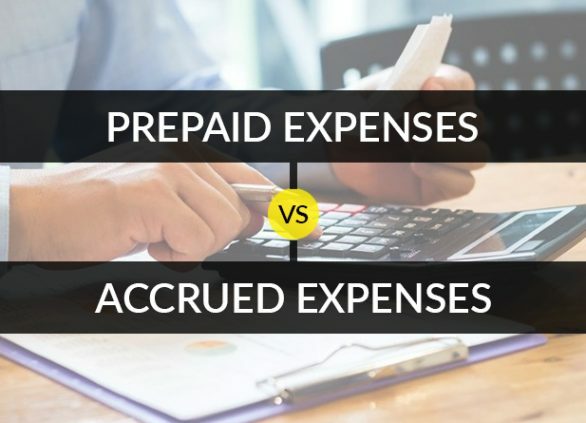 Manage all aspects of subscription business with the option of the due date and the late fee on recurring invoices. Also, the setting of payment reminders on recurring invoices gets you paid faster. 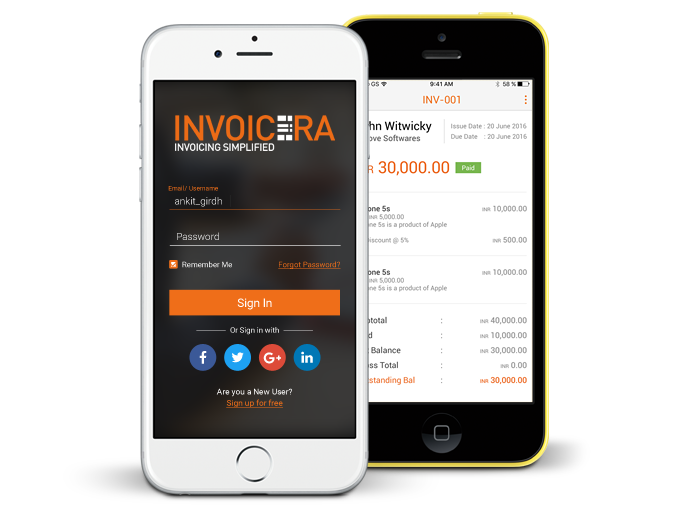 Invoice payments flow seamlessly with Invoicera Mobile App. The records are updated instantly with each paid invoice. Start accepting online payments and remove the unexpected delays in payments that occur through it. Create and start new projects. The project status and updates can be viewed. Projects can be assigned to staff members for better project performance. The projects can be billed to clients on an hourly basis. You can even create new tasks assigned to staff and projects. Add, manage or categorize tasks to staff and projects. Ensure information can be accessed anytime anywhere. 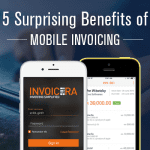 With every new update, Invoicera Mobile invoice app gets better and better on every single day. In our latest release, you will notice the few changes best to our users. You can easily navigate to different modules via mobile without running on your desktop every time. Check and drop the feedback! Not convinced? Just download Mobile Invoice App from your iPhone devices and conduct a business wherever you are!